When car fob services are needed during normal or emergency situations, you can rely on the automotive locksmith crew at Pflugerville Locksmith Pros. As licensed, bonded, and insured mobile technicians, we always implement proper procedures based on each automobile manufacturer’s requirements. Because key fob issues can happen without notice, our dedicated, emergency locksmiths offer rapid, prompt services 24/7. If you work with us during any situation, one of our mobile technicians will arrive at your location within 30 minutes or less. Customer satisfaction matters to us, so we always provide upfront prices before tackling a car fob maintenance or repair project. You can use our 24-hour locksmith services confidently because our highly trained technicians address key fobs that affect old cars, modern automobiles, and advanced vehicles with new technologies. The process of scheduling an appointment for any of these service options is easy. Throughout this process, our friendly staff provides advice and support every step of the way. Once the maintenance and repair phase begins, we service fobs quickly by arriving fully equipped with all of the necessary tools. A key fob is a valuable piece of hardware because it allows you to open your car from a distance and this advanced technology helps to prevent theft. So, when you are walking back to your car carrying a ton of shopping bags after a busy day at the StoneHill Town Center, all you have to do is push a button and your trunk will open up for you. Signal strength issues should be addressed if the device doesn’t function from a distance. The signal strength for every key fob varies; however, most gadgets for modern vehicles should function whenever the sensor is within a 50-feet range. Over time, the range will reduce as the transmitter in a key fob ages. To correct a signal problem, the battery in a key fob must be replaced. When a key fob doesn’t operate after the button is pressed one time, the battery is probably nearly drained. By replacing the battery, an inefficient key fob will function without any delay. A faulty battery can also cause consistency problems by affecting how a key fob transmits signals. These operational difficulties usually affect newer keys with technology that triggers an ignition system. In order to resolve a consistency problem, the old battery must be replaced with a quality product that meets industry standards. 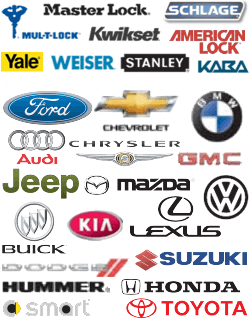 In short, as expert mobile locksmiths, we tackle car fob replacement tasks for cars, trucks, SUVs, and commercial vehicles. If need to request locksmith services, you can schedule an appointment or ask for immediate assistance! 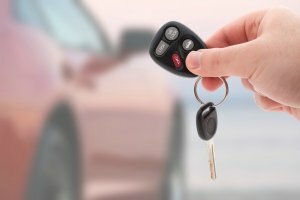 Car Fobs https://pflugerville-locksmith.co/automotive/car-fobs/ 3.9/5 based upon 32 reviews. 24 hour Locksmith Service in Pflugerville, TX and surrounding areas.